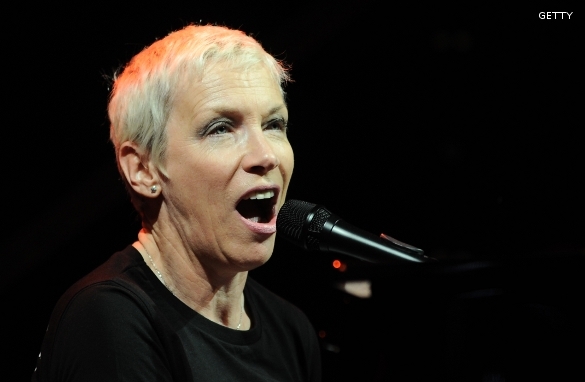 Scottish singer Annie Lennox is one of the world’s bestselling recording artists. Known for her unique vocals and visual performances, Lennox found success on the international music scene in the 1980s as part of the duo Eurythmics. She went on to launch a solo career in the 1990s and has since sold over 80 million records worldwide. Lennox is also well-known for her extensive charity work, including SING, a campaign she started to raise awareness of AIDS in Africa. As a global ambassador for Oxfam, one of Lennox’s latest projects is to bring together charities to celebrate women and make positive changes in time for International Women’s Day. What do you want to ask Annie Lennox? Leave your questions below, and remember to tell us where you are writing in from. What do you think is the best way to get both men and women, especially the younger generation, involved in supporting women's human rights and equality??? There seems to be much complacency and misconceptions surrounding "Feminism" . When you wear your UN Goodwill Ambassador hat, are there times when you find yourself editing you remarks so as not to offend? In other words, does this position inhibit your campaign activism? –	How will Oxfam Improve our world? –	Which Middle East/Arabic leader would you sing for at the moment? I am awaiting Annie Lennox’s replies. In what ways can the U.S. contribute or advance the awareness of your SING campaign? You've really drawn me in to a better understanding of the HIV issues in sub-Saharan Africa, and because of the risk of secondary infection, clean water and sanitation are so important and yet so scarce. Having seen the reality of these things and being involved with aid providers, what do you understand to be the main barriers to providing this basic human need? The low tech solutions are there, what stops the implementation on a bigger scale? And most importantly, how can we help?!! It is good to know you have joined the rank of Global Ambassadors of Oxfam in your continued work of charity to the less fortunate and marginalized. With so much of economic downturn hitting many countries across the globe plus the political unrest in middle east and the Japan multiple crises, do you see a decline on funding assistance for such issues like AIDS from both governments and private sector. If so, how do we go about to prevent this decline.